Manufacturers and technology companies of all sizes are operating in a highly complex, rapidly changing environment. Disruptive technologies such as the internet of things, sensors, big data, new materials and 3D printing are coming thick and fast. Business models which once had a life of 25 years now need to be re-invented on an almost continuous basis. And this is against the backdrop of shifting global markets, new regulations, national and international policies as well as increasingly pressing energy and resource management issues. 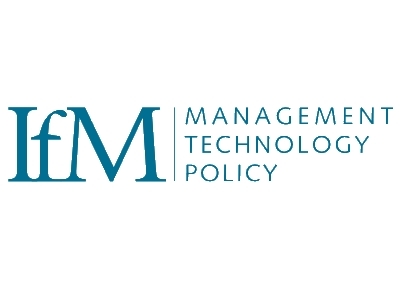 IfM approaches are differentiated in that they are both academically underpinned and “best practice” and have been demonstrated many times over in real world consulting engagements. Selected approaches and Cases where IfM has helped businesses to improve their performance. We have associates based across the UK and in the North. Our Lancashire-based associate is Rob Munro who works with businesses from SMEs up to multinationals to deliver strategy, new technology and innovation centred projects. We can access other specialists at IfM when required to deliver a wide spectrum consultancy to manufacturing and technology companies. Make the choice to improve; develop an effective and rigorous business strategy that guides what your people do every day. Lancashire is gifted with a significant base of high-value manufacturers, transportation networks and access to world markets. But there is no place for complacency. The SEP indicates there are significant challenges for Lancashire to even meet the national average for GVA, skills and productivity. This can be met, and exceeded, but must be centred on rigorous and demonstrated approaches to strategy, innovation and skills. IfM have a toolset demonstrated to deliver growth and capability improvement. Let’s take advantage of this capability for Lancashire and make a difference.